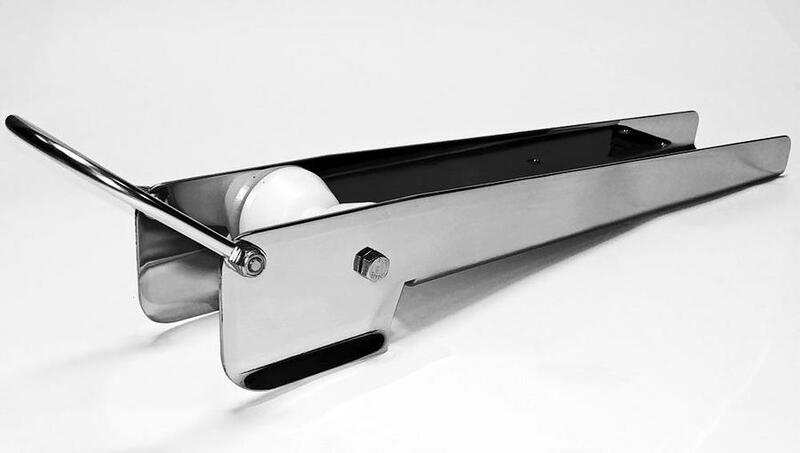 This universal, heavy duty bow roller has a rounded bail that controls the rode. It is 19 3/4" (50.16 cm) in length and is suited for our QuickSet anchor as well as Plow style anchors between 9 to 50 Lb (4.08 to 22.67 Kg). Features: Saltwater tested to 500 hours with no signs of corrosion or rust. Manufactured in Canada. Made of 100% Marine Grade U.S.A. Stainless Steel for maximum tensile strength and long lasting corrosion protection. Uses Acetal Roller Wheels; a strong superior dense polymer material that is UV resistant. Bow Roller wheels are precision cut on our CNC lathe and wont yellow, fade or crack. Uses W25-3 Kingston Anchors Roller Wheel. Uses 11" Round Bail BAR-11-3.4 Bail. 19-3/4" Length x 3-1/4" Width.